How to Prepare this Kathirikkai Murungakkai Poriyal ? 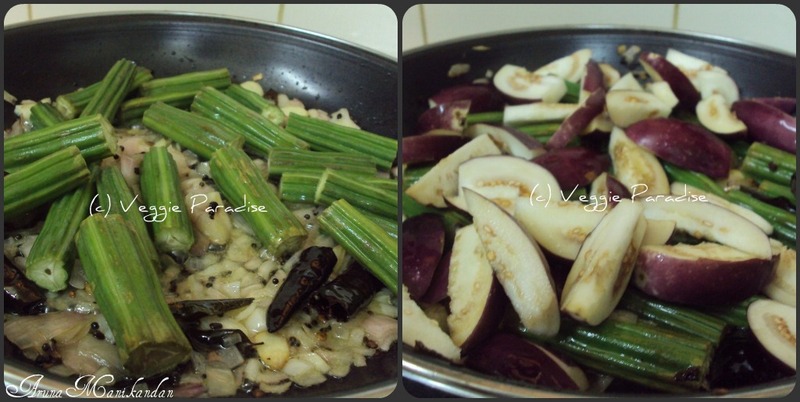 Chop the onion, drumstick , brinjals and garlic. Heat oil in a pan, add mustard seeds, when they stop spulterring add urad dal. Add the curry leaves, saute it or a min, then split and add the red chillies. Add the chopped garlic , and fry them till they turn slight brown. Now add the chopped onions , saute it until they turn translucent. Add the chopped drumsticks saute it for 5 mins, then add the chopped brinjals.Saute it for another 5 mins. 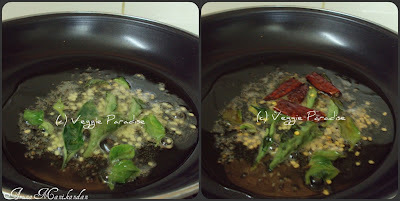 Add sambar powder along with salt, mix it gently, add little water, cover the pan, and allow it to cook in low flame.Keep it stirring occasionally. 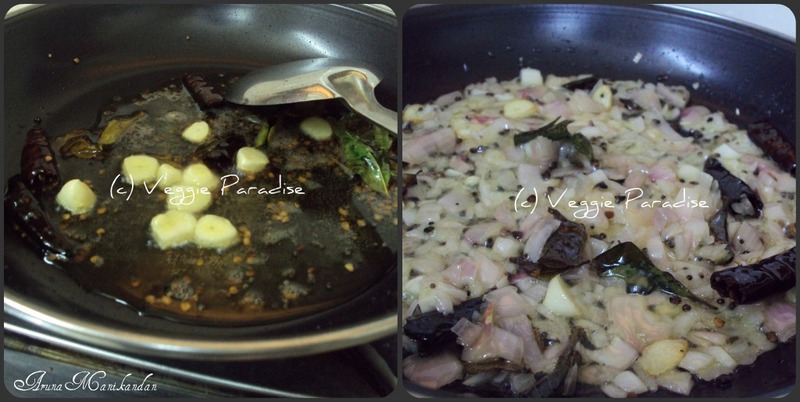 When the veggies get cooked, switch off the flame and finally garnish with coriander leaves. 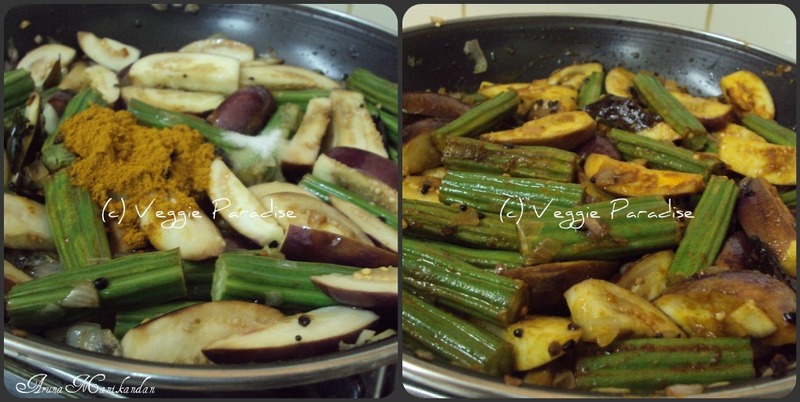 For a quicker version, pressure cook the veggies for 1 whistle, hence you can reduce the cooking time. 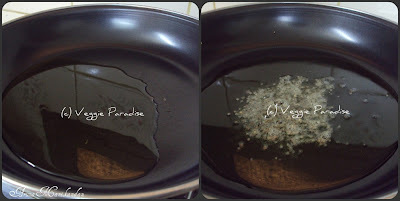 To avoid the brinjals turning black, chop and soak them in water. Nice combo and delicious curry. 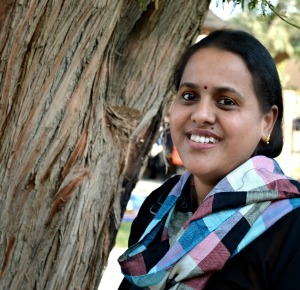 Nice combo and comfort food with rasam rice. This is just irresistible combination..love it a lot dear. simple but a different combo..thanx for sharing ! luks perfect..
Love this curry Aruna!! yummy delicious! One of my fav combo, love it simply with rasam..
That is an unusual combo for me, but looks great. Yummy combination...and the curry is looking fantastic. Healthy and tempting curry! very nice combo!! Thats a very nice combo..Great looking curry! Delicious combo.Looks so tempting.AN award is waiting for you in my blog my dear. nice combo..love with sambhar rice!! 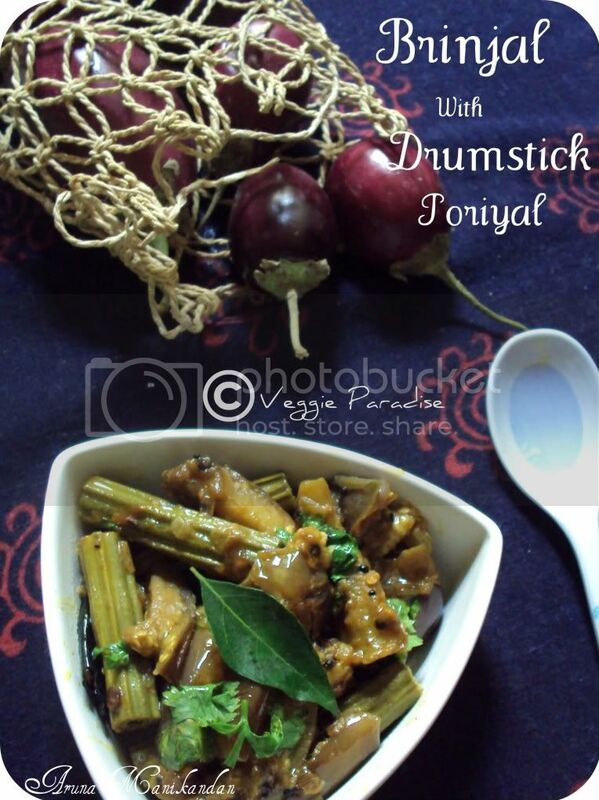 I never knew you can add brinjal to drumstick...wow..looks tempting ! Quick and comforting side dish.. I also add potatoes to this..
my mum make them, i took pic when she cook not sure when i will post...very nice to see here! 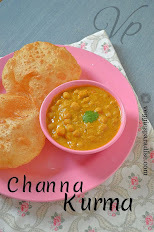 Looks delicious..liked adding sambar powder..simple one!! 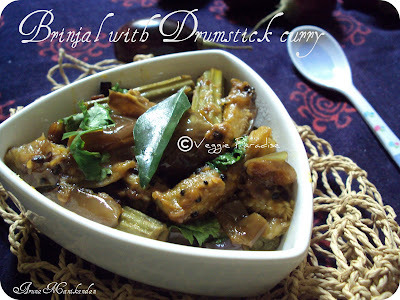 brinjal and drumsticks are fabulous combo, and your curry is looking so yummy. Wonderful combo & an aromatic gravy!!! Looks like a very good combination.. 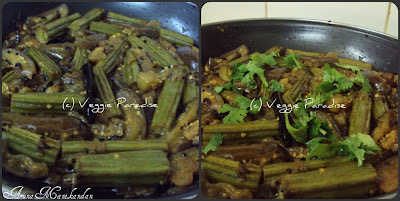 Delicious combo..this sabzi is my dad's favorite and yours looks wonderful...loved the step by step pictorial!